Antique Smyrna carpets basically all the handwoven carpets that that made their way to the west via the city of Smyrna (which is the modern-day Turkish city called: Izmir). 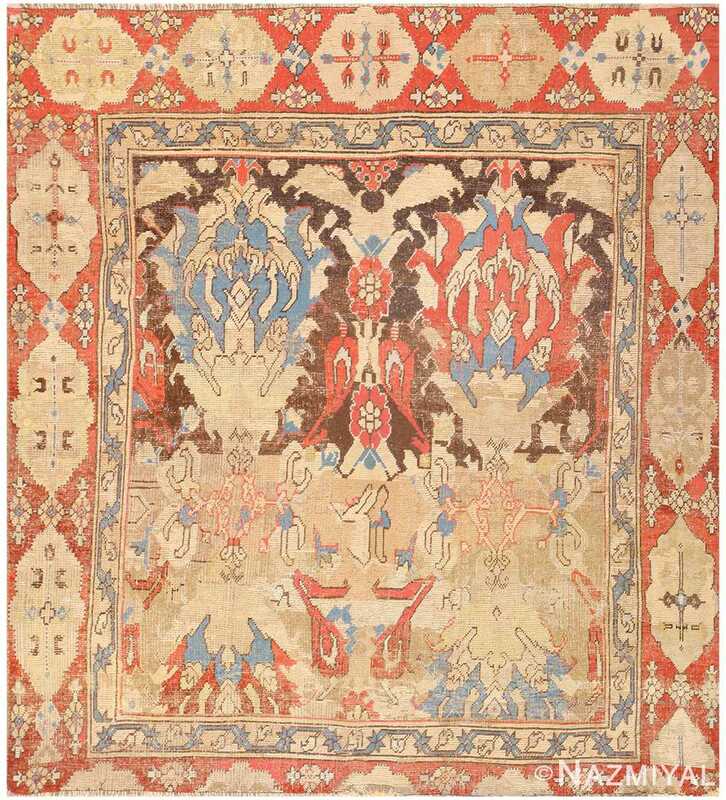 Smyrna carpets were more than likely produced in the town of Oushak which was one of the major carpets producing cities in modern day Turkey. 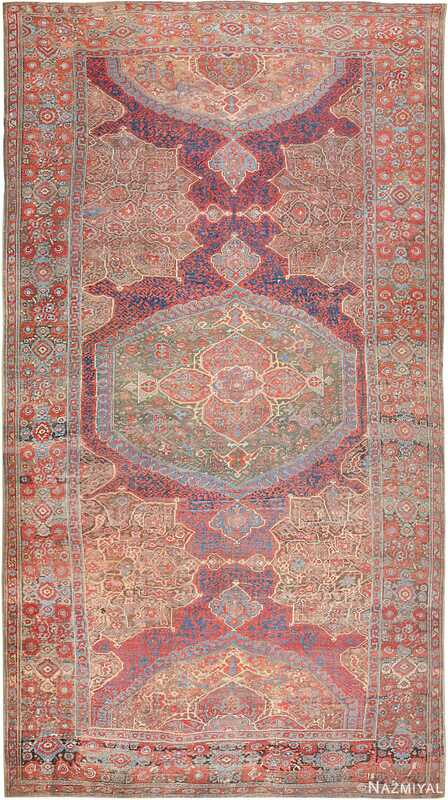 Most of the antique rugs that we call Smyrna today are basically the 17th and 18th century carpets that were woven in or around the town of Oushak. 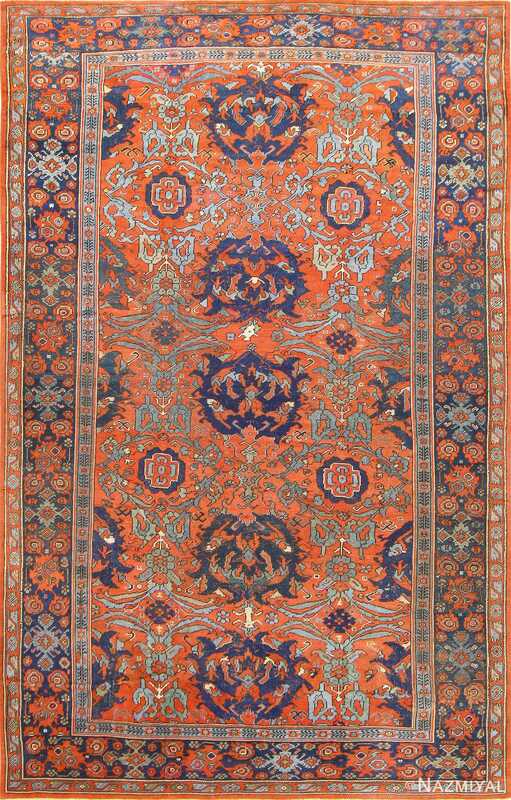 Recently, the name of Smyrna got applied to antique Turkish rugs that feature a certain type of pattern, which were usually got seen in smaller examples. The city of Smyrna was a Greek city that existed as fat back as antiquity. Located at a central point of the Aegean coast of Anatolia, the city of Smyrna, around the 1930’s changed its name and is now known as the Turkish city of Izmir. Due to the great conditions of its ports, the ports’ ease of defense, and great inland connections, Smyrna rose to its current position of prominence. Two of the ancient sites are within the city limits of Izmir. The first of these sites, which was probably discovered by indigenous groups, became famous during the Archaic Period as one of the Greek settlements of Anatolia. The second had a foundation that was associated with Alexander the Great. This site rose to prominence during the Roman Empire. Most of the modern day remains come from the Roman era. The majority came from an earthquake that took place in the 2nd century. A distinction is usually made between the two sites. Old Smyrna was found around the 11th century BC. It was first founded as an Aeolian settlement, then later developed by the Ionians during the Archaic Period. Residents moved to Smyrna proper around the 4th century BC. The city’s foundation was inspired by Alexander the Great. Old Smyrna sits on a small peninsula that’s connected to the mainland by an isthmus that sits at the northeastern edge of the Gulf of Izmir. It’s located at the edge of a plain at the foot of Mount Yamanlar. This particular Anatolian settlement soon took over the gulf. New Smyrna developed both at the slopes of Mount Pagos (which is known as Kadifekale today) and the coastal strait. Immediately below this area, a small bay sat, where it remained until the 18th century. Right now, this site, known as Bayrakli Hoyugu is about 700 meters inland, located in the Tepekule neighborhood of Bayrakli. The Hellenistic and the early Roman Smyrna got preserved in the Izmir Agora Open Air Museum at the site. Currently, scholars are researching both of the sites. Scholars have conducted this research since 1997 for the Old Smyrna site and 2002 for the Classical Period city site. The research being done is a collaboration between the Metropolitan Municipality of Izmir and the Izmir Archaeology Museum.